We provide our members with a workplace where they can continue to grow in the rapidly changing world as an "universally excellent professionals", which are people who can thrive regardless of which company, country, industry, or era they work in. Moreover, some of our members are from Taiwan, Korea, Philippines, Thailand, Australia, England, U.S. and more. We're creating a working environment where all of those diverse members could work flexibly and happily. Our 100+ people are dynamic and flexible creators adaptable to any environment. Do you want to make a difference in the world by changing people's lives with us? Our monthly all-hands meetings provide members with an opportunity to share progress and exchange opinions while also sharing future goals. It's here where Eurekans get together to share their dreams, passions and goals to help change the world. At Eureka, all employees have in-depth feedback interviews once in every three months. During the interview weeks, management and board members are committed to employee growth with detailed, objective feedback and individual evaluations (including promotions, raises and bonuses). Furthermore, employees participate in one-on-one discussions with their direct supervisors once a month. Altogether, this framework of evaluation is the reason of acceleration and growth for both employees and Eureka. 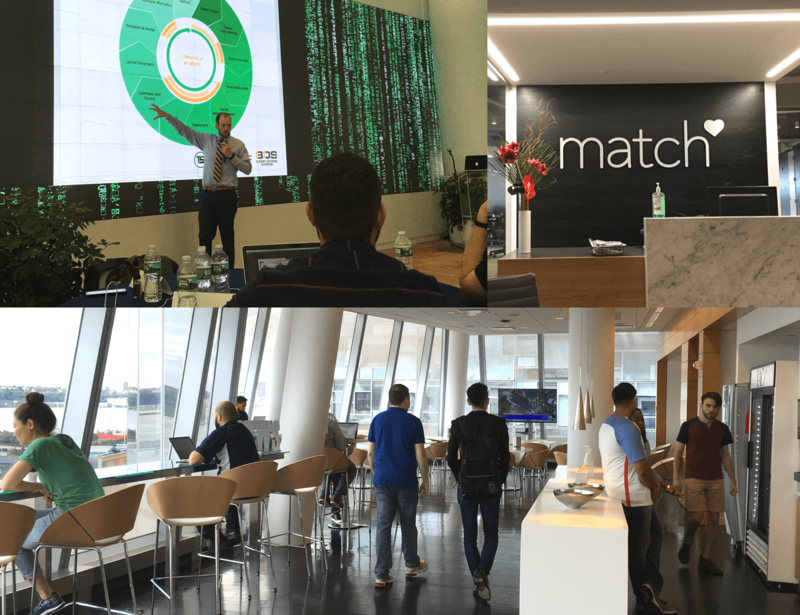 As a member of the IAC/Match Group, we are able to provide world-class and cutting-edge knowledge. We travel to Paris and Dallas (where our group companies are headquartered) annually and frequently share knowledges within the Group. In future, we are planning to actively exchange personnel within the Group. We fully support the ambitions of our members. We've opened a cafe within our office in partnership with a well-known coffee stand called "THE LOCAL". There, we offer coffee, cafe latte, tea, and seasonal fresh fruit juice at times. You will can enjoy the fashionable open cafe with fine coffee made by a full-time barista staff. This cafe encourages members to communicate with each other and come up with brilliant new ideas. You may indeed catch one of our members saying "eureka!" here. Eureka prepares a variety of programs and systems to support our philosophy where we encourage our members to become "universally excellent professionals" and continue to grow to create things that enrich people's lives around the world. We update these programs regularly with a desire to help all employees, regardless of age or background, to work together in a fulfilling environment. 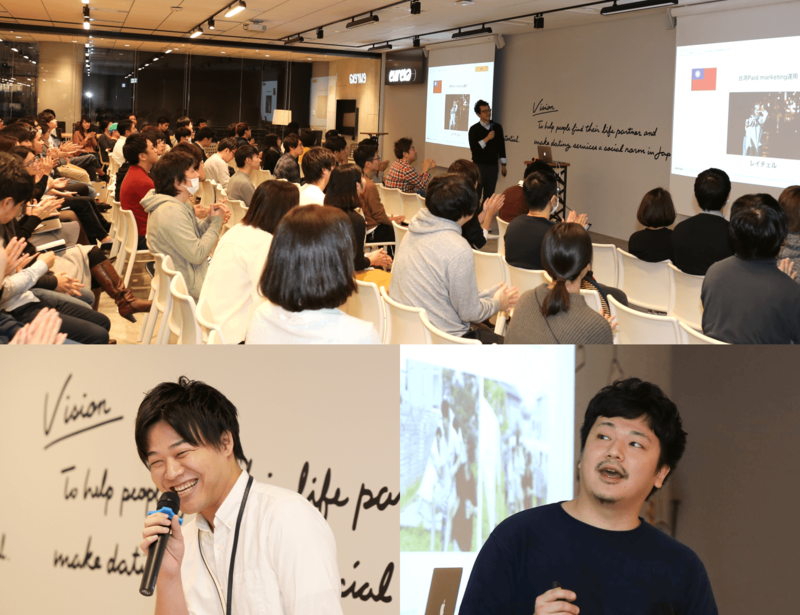 We promote participation in WWDC, Google IO, F8 and other notable conferences outside Japan. The company covers the costs of participants' round-trip airfares, hotel stays, and conference tickets. We give out our members 10,000 JPY for study purposes every month. We allow this to be used in various ways such as: signing up for private servers, buying a new font, taking a license exam for certain qualificationns and buying the latest smartphone device. We allow our members to work remotely when they are in a situation when they're willing to work but can't come to the office. These situations include: one's family's sickness, bad weather such as heavy snow, prevention from getting the epidemic flu and so on. Since we are a part of the IAC/Match Group, we have a lot of opportunities to interact in English. Eureka covers the full cost of English lessons for employees who communicate with group companies in the United States and Europe, and for employees who take part in online lessons 15 or more days per month. Employees who married using Pairs will be presented with a 50,000 JPY gift certificate in addition to their wedding bonus. We support love relationships of our own members as well as others! In order to support workers when they return from child care leave, we have programs that arrange one-on-one meetings with supervisors and participation in key meetings. Employees can choose to participate via Skype or in person. The company covers the cost of seminar fees on the condition that participants provide the company with feedback on the event. Got a preferred device or keyboard? We'll supply it. 2nd monitor requests, preferred software also accommodated. We support Eurekans to design the work environment that optimises their concentration. We care about your health. Employees over 30 years old receive free annual compehensive health checks, which include breast cancer screenings for female employees. All Eurekans are provided with high-end chairs to enable them to work in comfort. Eurekans who live within 3 kilometers from the office are eligible to receive a 30,000 JPY per month rent subsidy. Moreover, for those who live with their family, they are eligible to receive 50,000 JPY per month. Commuting costs are fully covered for all employees. All employees (including interns, part-time workers, and temp workers) receive a gift certificate to celebrate their birthday. Eurekans enjoy discounted tasty and fresh dishes, including vegetable dishes, at the office for 100 to 200 yen. Employees are allowed to choose what to wear freely. This includes sandals and shorts in the summer (though employees are asked to wear what is appropriate for each situation). We believe that pets are also an important part of families. As part of our four programs related to pets, we have started a program that allows our employees with pets to take half days off three times a year to take their pets to the vet. We also introduced a program called, Petokoto Clinic, which allows our employees with pets to consult for free with the vet on LINE about their pets. The company gives small birthday presents to the children and spouses of employees in order to express our gratitude to these family members who support our staff. When an employee's child has a school entrance ceremony, special congratulations are also offered to celebrate the child's growth. Employees are allowed a day off for special situations such as wedding anniversaries, family birthdays, and entrance ceremonies or graduation ceremonies for school. To celebrate their marriage, employees are presented with 50,000 JPY and a home appliance gift up to the value of 200,000 JPY. This under the wish of relieving our members from their daily chores by buying things such as laundry machines with dryers or fully automated cleaning robots. To celebrate their new life, employees can take 5 days leave for their honeymoon in Japan or overseas. It is important that men stand by their wives when giving birth, especially if they already have another/older children. This system allows a 3 days leave for male employees so they can be close to their families. We also provide a 100,000 JPY gift to celebrate the birth of a new child. Since children tend to catch colds on short notice, the company has a program that provides free babysitters for ill children. We started this program at Eureka so that parents would not have to suddenly stay home from work when their child gets sick. If an employee's family must relocate in order to place their child in a school (due to the long waiting lists for preschools, etc. ), the company has a program to offer financial assistance.